Asha-26, the biennial Asha-wide conference on completing the 26 years, was held on July 29th – 30th, 2017, and hosted by Asha Seattle in the Microsoft Campus at Redmond, WA. The conference was well attended with representation from 20+ chapters, 92 attendees from around the country, 14 speakers – including 2 Co-founders, 1 Asha fellow, 5 project partners, representatives from 4 other non-profits and 2 American educators. The primary focus of this conference was to celebrate the Silver Jubilee and re-energize volunteers to take Asha for Education forward, having reached a big milestone! The conference started off with a warm welcome from Asha Seattle and the emcee,Meera. 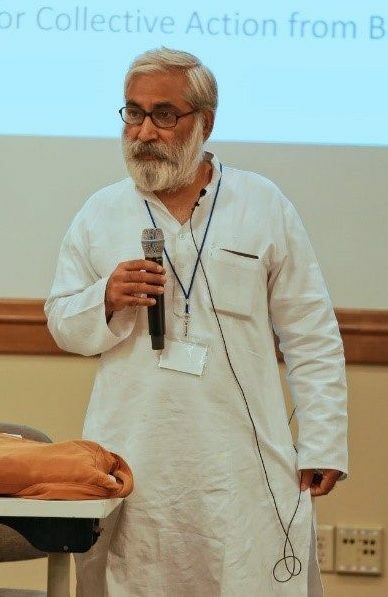 Dr. Sandeep Pandey kicked off the first session with a story of how it all started 25 years ago and Dr. Deepak Gupta (online from IIT – Kanpur) added in more details. Sandeep ji and Deepak ji co-founded Asha for Education in 1991, along with late Sri. V.J.P Srivatsavoy. The two of them were PhD students at U C Berkeley and Dr. Srivatsavoy was a post-doctoral researcher. Dr. Srivatsavoy called for the first meeting, with an intention to establish a group to transfer research ideas to India. The group debated and decided to stick with Sandeep ji’s suggestion to help under-privileged kids in India. They named it ‘Asha’ because it is a common word across most Indian languages for ‘hope’. They registered Asha as a student group at U C Berkeley. Sandeep ji, being a childhood friend of Deepak Gupta, invited him to the meetings. There was a lot of debate about the focus of ‘Asha’ – poverty, population, environment, women’s issues, etc. They finally stuck to education of underprivileged children in India. They started getting projects from IDEX and fundraised using simple means like getting donations during the Indian cultural show. ICA (Indians for Collective Action) also helped Asha in its early days and guided them along. While the co-founders were planning to head back to India after completing their degrees, they found another PhD student to take over the group: Richa Govil. Chapters started sprouting up in various areas – Stanford, LA, Seattle, etc. The key characteristics which Asha stands by even today were introduced right during its inception – de-centralized, no membership fees, anyone who participates becomes a member, no formal positions, zero administrative expenses, etc. Both Sandeep ji and Deepak ji did not anticipate how the organization would grow and are happy that it grew this big and stood for this long. After Sandeep ji returned to India, he took up social activism in addition to his teaching post at IIT Kanpur. Asha Trust was founded in 1992. Sandeep ji’s views about education have changed over time. In 2008, he said – “Asha should close down schools because they were unconsciously supporting corruption”. After his experience of teaching in IIT Kanpur, he realized that education was accessible only to the upper class and decided to work towards promoting education for lower classes. He gave some background about the RTE act in India, the Kothari Commission and his complaining and fast in June 2017 to ensure RTE was implemented. He thinks that impact brought about by Asha schools is too small compared to the problem at hand and suggested that we support his campaign for Universal Public Education via Common School System. The talk ended with Sandeep ji raising three slogans related to equal education for the rich and poor via Common School System. Deepak ji has been closely associated with the Asha Trust and Asha Kanpur after returning to teach in IIT Kanpur in 1997. Over the years he has realized that providing education alone is not the answer; overall community development needs to be supported. Many times there is motivation in the under privileged classes to get education but the schools are in very poor condition. He believes that implementing Common School System will improve the quality of the schools. He thinks that Asha should take a bigger role in the ground activities in India. Next talk was by Mahesh Pandey (online from IIT Kanpur). With his 15 years+ experience working in the grassroots level, Mahesh ji brought out a few important messages. He said it is important to continue pursuing a project on the ground, even if it is difficult in the beginning. He has seen a transformation of the brick-kiln workers and their attitude towards education, after the ‘Ek Kadam’ project saw a few success stories. They need support to build a hostel for girl children to expand Ek Kadam. He also added that Asha India needs more support and interaction with Asha US. The smaller Asha chapters working at grassroots levels in India should be supported, volunteers should visit them and see their work, internships should be encouraged, etc. 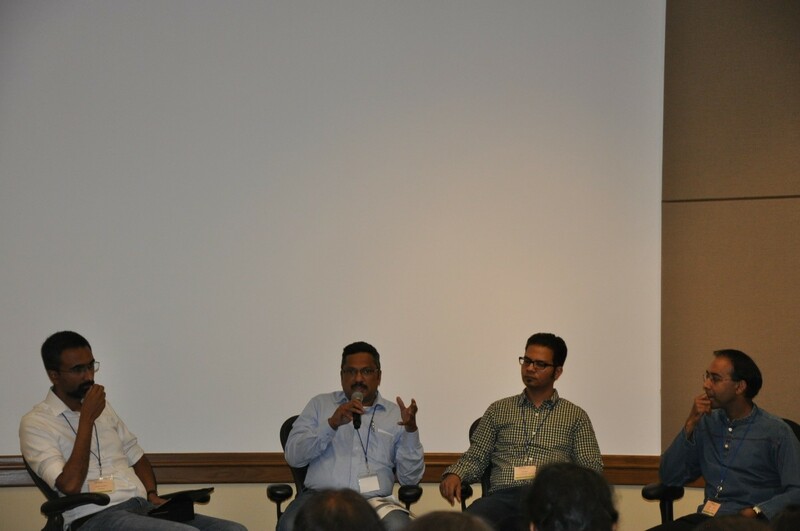 Following Mahesh ji’s talk, there was a Panel discussion between Chalam Plachikkat [Shikshana Foundation – project supported by Asha Seattle], Vijay Balasubramaniam and Amit Paliwal [Bhagwathi Sarla Paliwal Education Society (BSPES) – project supported by Asha Boston]. The panel discussion was moderated by Srijan Chakraborty [long time AfE volunteer]. The panel discussion was aimed at better understanding of the on-the-ground challenges these projects face and how Asha could help them better. It was interesting to learn about both the projects and compare their situations, because Sikshana is based in rural Karnataka whereas BSPES is based in rural Uttar Pradesh. The discussion brought out a few important messages: 1) Asha volunteers/stewards need to be move involved and understand the nuances that come with every project because the situations on-the-ground are very diverse, 2) Providing funds for education might not solve the issues because there are many challenges at a community level which need to be addressed as well, 3) For projects with scalable models, Asha can help provide a platform for project partners to communicate with multiple chapters within Asha. This ended the morning session. It was followed by lunch with a good amount of volunteer interactions, cross-chapter communications, and discussion. The dessert was a delicious cake commemorating Silver Jubilee for Asha for Education. The afternoon sessions opened with a lot of excitement. Names of all attending chapters were called out, with the volunteers from each chapter introducing themselves. 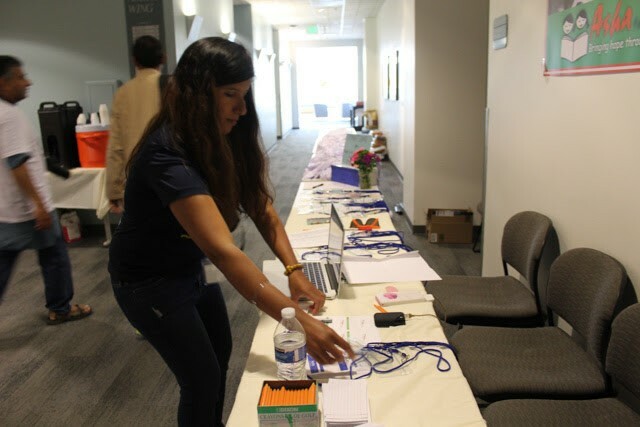 It was heart-warming to see volunteers from about 20 chapters show-up for the conference, spanning the entire country – Athens, Atlanta, Boston, Chicago, Delaware, Houston, Kansas City, Minnesota, NYC/NJ, Portland, Purdue, San Diego, San Francisco, SV, St. Louis, Stamford, Stanford, U Florida, UIUC and Seattle – the host chapter! Following the chapter introductions, the Coordination team gave an update on the ‘State of Asha’. The AfE President – Uttaraa Diwan, gave updates on the accomplishments at the Central level since Asha-24. To name a few: a perfect score on Charity Navigator, on-time annual reports and filing, the first unqualified audit report for the fiscal year 2015, compliant in all 22 states where Asha chapters are located, etc. While many things have been achieved the big issues facing AfE are Low Volunteer Strength and accountability. Anuradha Bulusu – Central Projects Team, then walked us through the history of our projects over the past 25 years. Asha supports projects in three ways – Worldwide chapters (US, Canada, and Europe), India chapters – Asha Trust, and Asha Fellows (grassroots level work). It has supported projects in various categories namely – formal schools, non-formal education centers, alternative education, vocational training programs, community awareness programs, etc. 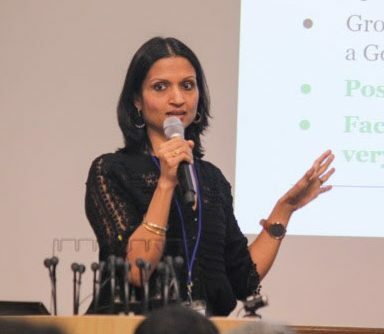 It was very informative for the attendees when she went through sample projects under various categories because it gave all of us a flavor of the wide-ranging projects being supported by Asha given that each chapter only funds a subset. Akshay Bhole – Central Web Team, informed the attendees about the new updates, challenges and ongoing efforts related to Asha websites, DBs, Wiki, etc. He pointed out that there needs to be an increase in activity from the volunteers on the Wiki, because only a third of the volunteer base is using it. 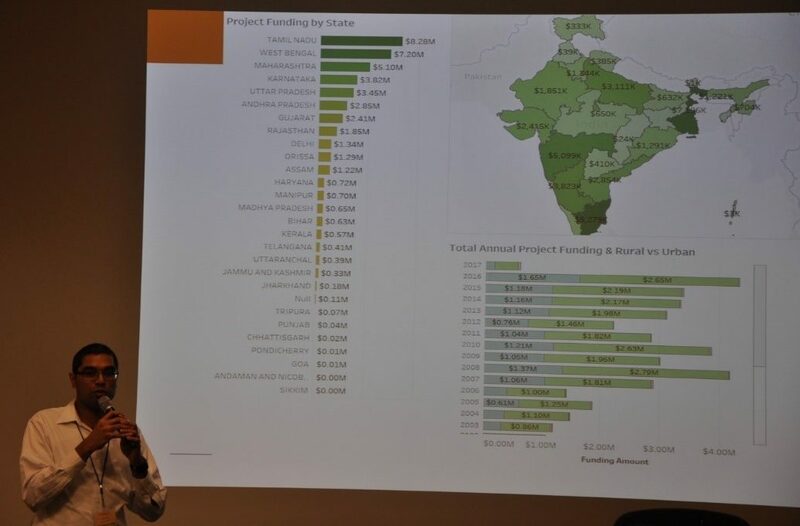 Akshay also presented several useful charts prepared by his wife, showing data for fund disbursements as well as donations & fundraising. The charts showed several important things like funding by project category, funding by geographical area, donations by each state in the US, etc. Shankar Sadasivam – Asha-wide Treasurer, gave treasury related updates. It was an eye-opener to the attendees to see how much work goes into maintaining the accounts and other related details. The final message sent out was a request for more volunteers to join the Central Team and help out. After a short break, the attendees split up into 7 different groups, each one set-up to brainstorm on a specific topic from this pre-decided list – “Projects – Asha side”, “Project – India side”, “Volunteer Recruitment, Accountability and Retention”, “Donor Management”, “Fundraising”, “ Inter-chapter Collaboration” and “Exploring New Paths Forward for Asha”. The discussions were moderated by folks from the Central Team, who were assigned well in advance as well. The discussions were quite animated. The final formal session of the day was – Experienced Asha Volunteers sharing their stories, many of whom have moved on from Asha to do more on-the-ground work. 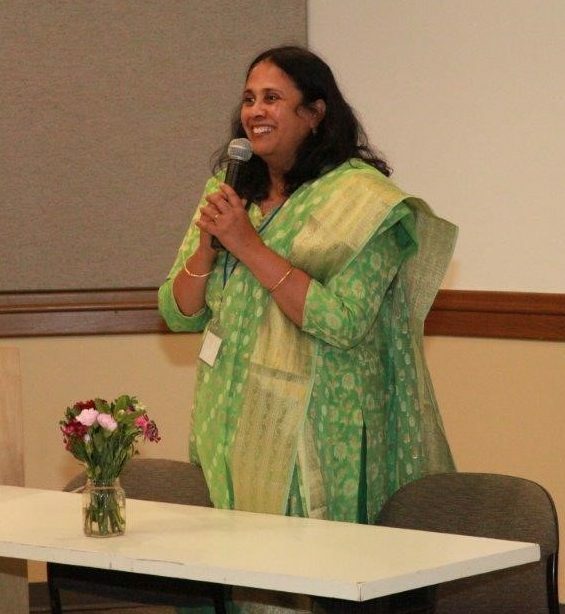 Jayashree Ashok – Founder of Asha Seattle, emphasized that volunteering with Asha not only helps by giving to projects in India but also by receiving their support for our own growth and transformation, especially morally by gaining knowledge from real life scenarios and the human condition. Chalam Plachikkat – COO of Shikshana – explained: “Don’t wait until you’ve made your mega-bucks (or find some other security) to make a big impact. 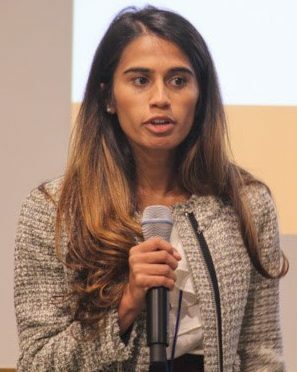 Consider ways in which you could make legitimate, concerted efforts today to start making an impact.” Swati Sircar – Central Projects Team, again with her own life example explained that volunteering with Asha is a privilege that we all have and we should make the best of it, especially by doing site visits. She said – “It is not just about helping someone, this gives meaning to our lives too.” Melli – Ex-Asha President, stressed on a few important points – providing education without community development is not enough, understanding things from the perspective of the fund recipients being imperative to bring about real changes, stewarding a project isn’t only about filing checklists but really working with the Project Partners, etc. 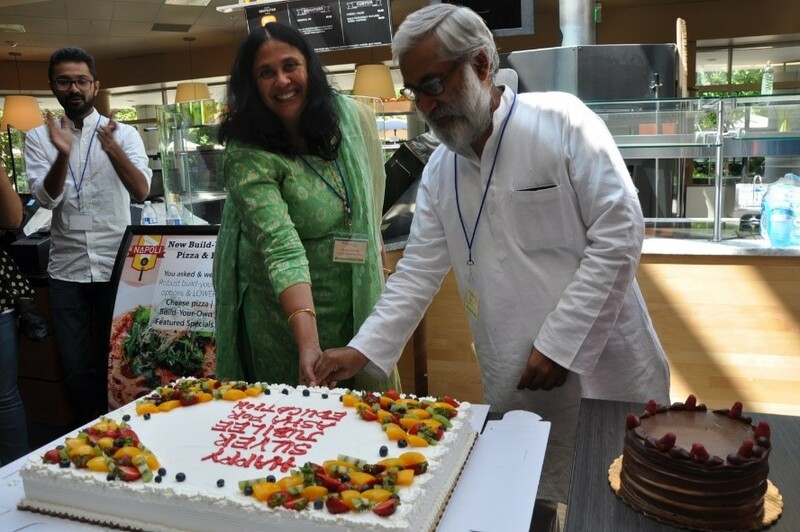 Rajeev Annaluru and Ravi Kandikonda – both Ex-Asha Presidents, shared the same message as Jayashree, Swati, and Melli – personal growth of volunteers being an intangible benefit that Asha provides and the importance of working and understanding things from the grassroots level. The attendees were really moved by all the messages given during the final session of the day and excitedly headed towards the dinner venue and had a nice evening stroll. There was one more person waiting there to share something with everyone. Chitra Akka – in charge of Balavihar in Bangalore – spoke in the most modest of tones and thanked Asha for supporting her projects over the years and described to us the enormous difference it had made. Her simple and gratitude-filled talk captured the audience in complete silence, even though the hot delicious food was waiting for us, after a 10-hr long day! Everyone enjoyed dinner and conversation for the rest of the evening. 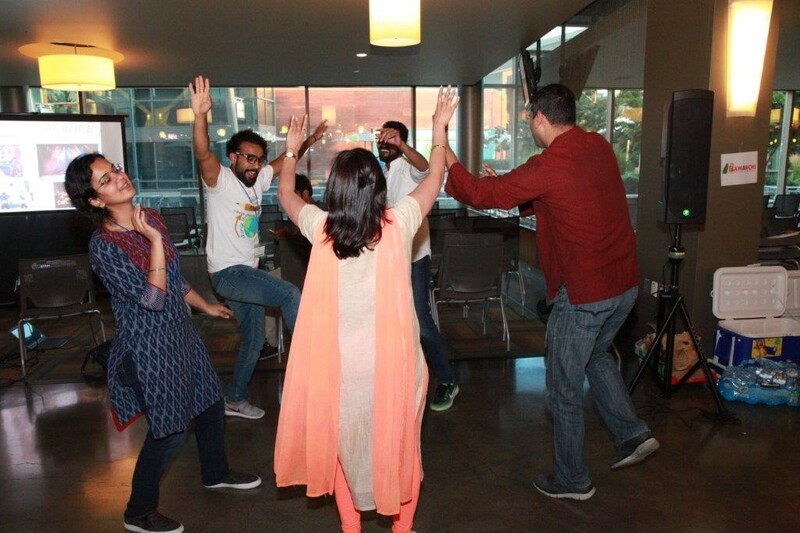 Some enthusiastic folks stepped on the floor to Bollywood beats and made the party even livelier. Day 2 began with anticipation and excitement. 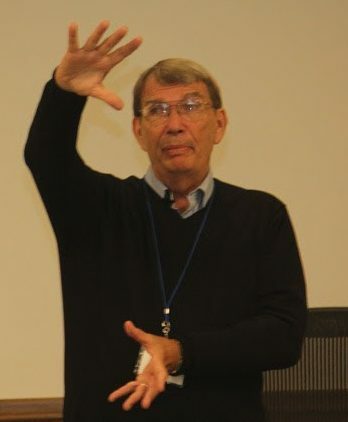 The first session was by Paul Gierlach – Waldorf Teacher for 35+ years. He started out the talk explaining how he felt so much at home at the Asha Conference – because of child-focused attitude shown by Jayashree, Chitra Akka, Swati and Melli’s talks from the previous day and the realization that Asha is a selfless organization, which has allowed it to grow in such a positive way towards helping children in need. Paul attempted to introduce the audience to a new way of looking at education, from the Waldorf perspective, which in-turn was developed by Rudolf Steiner in Germany about 100 years ago. The approach as he explained was based on ‘Child Development’ and choosing pedagogy to align with needs of the developing child, with an aim to develop him/her into an individual who can contribute positively to the society at large while maintaining his or her individuality. He explained the 7-year developmental cycles and the part of the child that needs to be nurtured as follows: 1-7 years should focus on “Development of Will”, 8 – 14 should focus on “Development of Feelings” and 15 – 21 should focus on “Development of Thinking”. He also explained the consequences that could potentially occur if the education system doesn’t take into account, these developmental stages and does not provide the right kind of teaching for that age. It was eye-opening to many in the room because it is a perspective of education as seen by an educator rather than a funding agency or a theoretician. 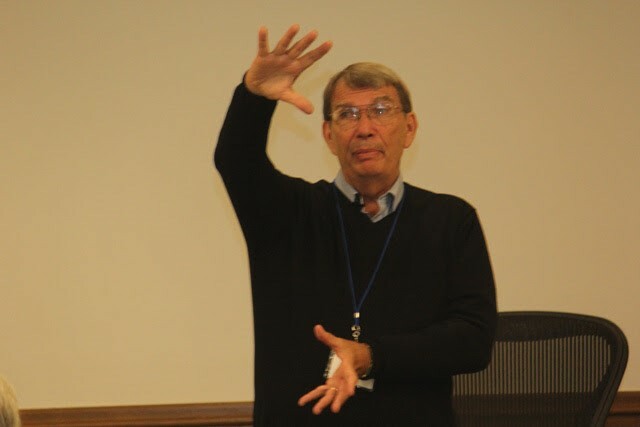 The next session was by Gary Lamb – Co-Director for Hawthorne Valley Center for Social Research. 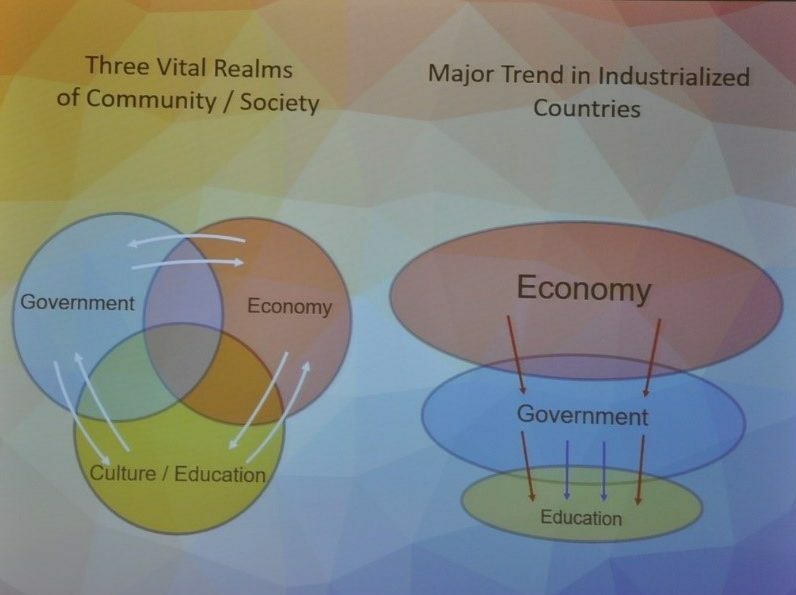 Gary started his talk by identifying the three spheres of the social structure – Cultural/Educational, Economic, and Political. He explained how a balanced relationship between the three spheres leads to a healthy social system whereas the overpowering of any one sphere over the others leads to disharmony and is the key factor in the numerous problems that we see in India or other countries around the globe. He pointed out the imbalanced structure in the more Industrialized Nations where the Economic sphere overbears the Political which in-turn overbears the Cultural/Education sphere and the systems of which can be easily seen in the Education System in the United States – learning standards and curriculum fixed based on industry needs and global competition, which are in-turn pushed into the education system via the government funded public school systems via standardized tests which influences not only the students but the teachers as well. He explained that Education should stand in its own right with the standards determined by Teachers and Educators and not CEOs or politicians. In order to bring out whole child development, the funding stream for education needs to be altered and allow teachers to be treated as professionals who actually love children and the teaching profession. A funding model which by-passes the government and allows individuals and corporations to directly but anonymously donate to education initiatives via tax credits, scholarship funds, etc. is extremely important. The role of the government would then be to protect the rights of the children but it would not be involved in the channeling of funds directly to schools. He ended the talk in a great way by saying – “Take what I have said as not trying to influence you unduly, but I did try to show you thoughts/ideas that I’ve had. Take it in the spirit of sharing.” This talk opened up an entirely new way of viewing social problems and giving a means to deal with the root cause rather than a symptomatic approach, to many in the room. Next, there was a panel discussion between representatives from various non-profits who work on developmental issues in India. The panel consisted of Ravi Kuchimanchi – founder of AID, Vikram Chalana – AIM for Seva, Dheeraj Mehta – CRY, Veenu Srivatsan – Vibha, Pradeep Jayaraman – Asha for Education. The session was moderated by Snetu Karania from AfE. The panel was focused on opening a channel to allow collaboration between the nonprofits to bring about more impact on the ground. Various ideas were discussed in-terms of collaboration in the US – co-funding projects/NGOs, common fundraisers, attracting donors, sharing best practices, etc. Also, there was a proposal to organize a non-profit conference in 2020, to bring together various US based non-profits working on social and developmental issues in India, given the excitement in the room. There were also suggestions made about collaboration on-the-ground between the NGOs funded by the five organizations on the panel. Vibha already has a conference in India called “Pragathi Conference” which is open to all. The Q&A session highlighted something very important – we are/should not be competing for volunteers or donations because the goal of each organization is to ultimately help people on the ground. An attitude of collaboration at the individual chapter level needs to be inculcated to strengthen each other’s work. The idea of collaboration was met with great enthusiasm from the attendees. We then had a break for lunch, where again the attendees were involved in deep discussions based on the morning sessions. 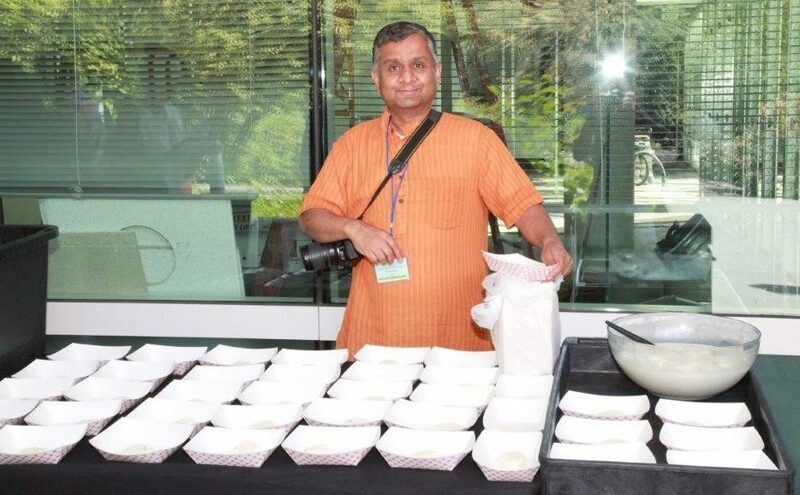 There was mouth-watering “Ras Malai” to everyone’s delight! The afternoon opened with a session de-briefing the conclusions and action items from the brainstorming sessions held on the previous day. The moderators had done a great job documenting the discussions and outcomes. Action items were assigned, with a hope that a number of changes will be brought about in the organization. Following this was an open called “Path Forward for Asha”. Attendees asked questions to the Central Team and/or moderators from the brainstorming sessions. Listing a few important questions that came up – 1) If Asha decides to actively participate in activism, can it maintain its 501 C(3) status? 2) How can chapters/stewards be held accountable for funding delays?, 3) How can the Central Team effectively communicate with chapters and individual volunteers? 4) Does Asha need to re-define its Mission Statement? etc. There was a good amount of discussion related to each of the above and again, action items were assigned to volunteers who came forward to take up tasks. We had a tea break after the energetic discussions and came back to hear about the last two sessions of the day. 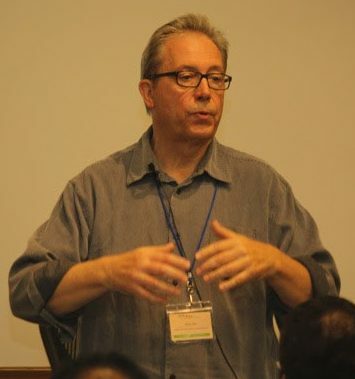 Mathieu Fortier – Founder of Kalkeri Sangeeta Vidyalaya presented about this unique school aimed towards classical music and dance training in Karnataka, India. This is a new project taken up by Asha Boston and has a very different model compared to other schools funded by Asha. One key takeaway from Mathieu’s talk was that education is too often used to domesticate individuals to societal goals. But he believes that education should be a means for personal realization of individuals, to develop more meaningful lives. The final talk of the day was about Junior Asha Seattle by Kavita Sharma. 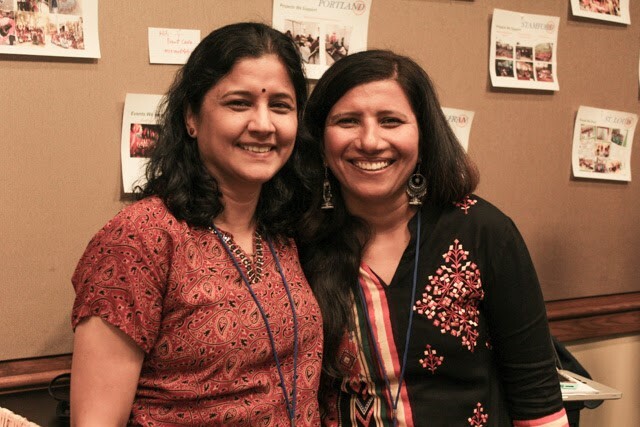 Kavita walked us through how the youth wing of Asha Seattle was founded and its primary goal – inculcating the spirit of volunteerism and compassion and awareness about the on-the-ground social challenges in the teenage kids who grow up in the US. It was heart-warming to see the dedication of the youth in the activities they do throughout the year and the growing interest in the Seattle area. Other attendees in the room were quite impressed by this initiative and showed interest in doing something similar at their individual chapters. The conference was summarized with a vote of thanks to all the speakers and the conference team. Both the Emcees did a great job moving the conference along smoothly and most of all maintaining the time! In spite of having a packed schedule on both days, the delay did not exceed more than 15 minutes overall. Uttaraa reminded the attendees again about the fabulous achievements by Asha over the past 25 years – $36 million disbursed to over 400+ projects, with zero paid staff! The group dispersed with a lot of motivation, excitement and newly formed friendships. Here is to the next 25 years of Asha, to make it an even bigger success! Hi Snetu, read your blog completely, your language and presentation is excellent.